Rashid Rana is arguably the most inventive and certainly the most celebrated of Pakistan’s contemporary artists. Although his work has been exhibited across the globe to much critical acclaim, this is the first ever retrospective survey of his work in Pakistan. Mohatta Palace Museum is delighted to be hosting Labyrinth of Reflections: The Art of Rashid Rana 1992 – 2012. 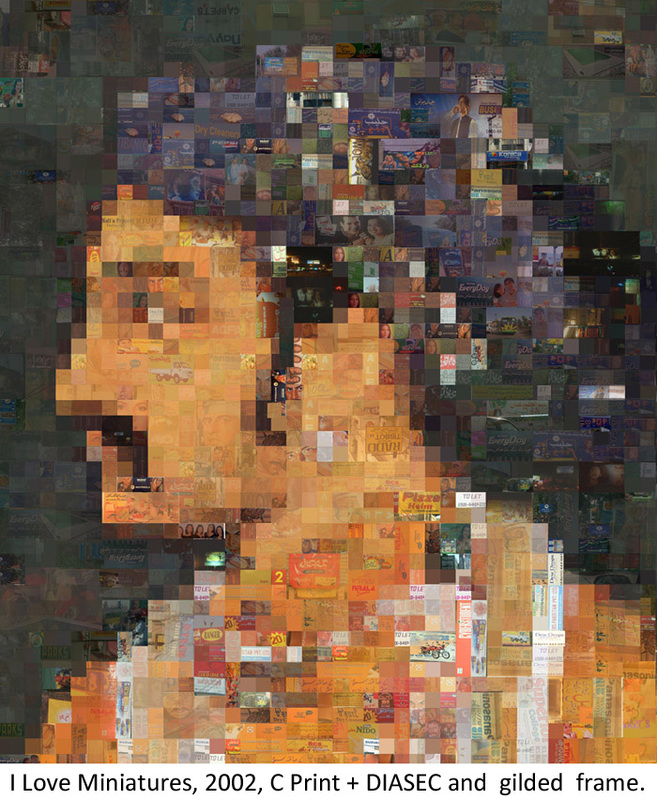 It pursues the trajectory of Rashid Rana’s artistic career from his early years as a painter to his most notable multimedia installation, all the while underscoring a technique that has brought him pre-eminence in the global art world, that of the digital photographic mosaic. His masterful manipulations have allowed him to create intricately detailed and layered works that engage viewers at multiple levels. His blending of photography and digital media enables him to create images made of countless miniscule pixels, arranged to form micro or small and macro or large images. By dexterous juxtaposition of these images he obscures the distinction between two and three dimensional forms, challenging the viewer to detect the relationship between the micro and the macro image. On drawing closer, one detects that the larger or more apparent pixelated images are in fact small photographs which miraculously assemble to produce the larger image! Rashid Rana invariably lays out the smaller images as a paradox or contradiction to the larger ones and in so doing, captures a poignant duality.